Well, more like crawling over each other. 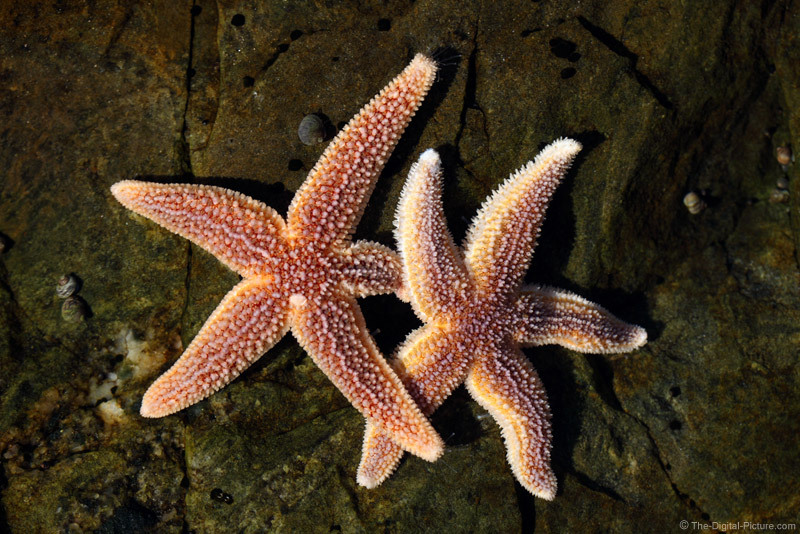 These starfish are in a shallow tidal pool on the Maine coast. Macro lenses are fun to explore with.